I have this tree I am trying to relocate but I have no idea what it is or how large it will get. If anybody knows what it is please let me know. Thanks for the help! Looks like an Oak. Not sure what kind. We will see what others say. Oaks get very, very large. You can also take photos are a part of the branch to a good nursery. Looks like an oak to me. Will have a broad, around 50 ft wide, canopy when large. As for the specific type of oak, I also recommend a nursery. Not a real good tree for between houses, it is a good backyard or front yard tree IMO. Thanks for the replies. This tree was planted right next to my drive way and not too far from my front door. Seems like an odd location for such a large tree. I think I will be moving it to the back yard. Thanks again. 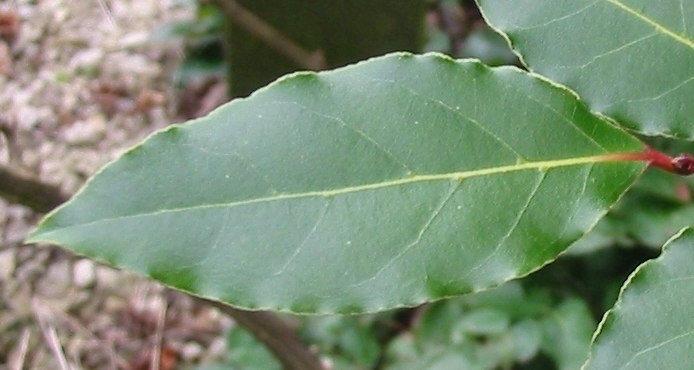 Could be a laurel oak. Looks more like a bay tree to me. Looks nothing like the oaks around here in NorCal. My vote is for a Live Oak. Will grow to a very large tree over the next 100 years or so. Wont get huge for at least another 30-40 years though. This looks more like a sweetbay tree to me, or perhaps a live oak. 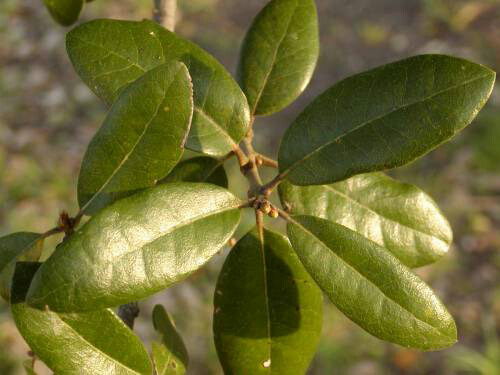 Live oak is not a true oak tree but a type of aromatic evergreen like laurel. Not sure where you are located but the plant looks like an oak (Quercus sp.) to me. Oaks can hybridize to a great extent and can exhibit a huge range of characteristics. We have some out here on the New Mexico/Texas High Plains that only reach a height of a foot or two.